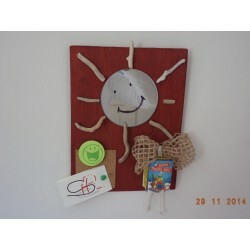 MIRRORS/CLOCKS There are 8 products. 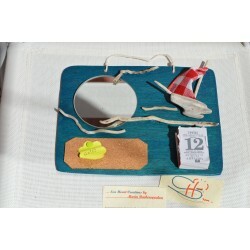 Mirror with a nautical theme – small, decorated with sea driftwood. 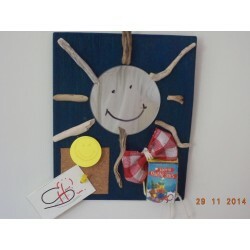 The background is from marine ply panel painted in blue water colour. 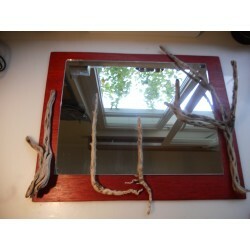 Mirror with a nautical theme – Medium, decorated with sea driftwood. The background is from marine ply panel painted in blue water colour. 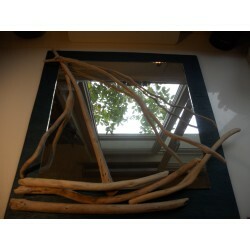 Mirror with a nature theme – medium, decorated with sea driftwood. 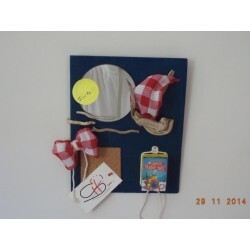 The background is made of marine ply panel painted with red water colour. We offer our clients the choice of reconstructing the specific artwork in different sizes to better suit their space or personal taste. 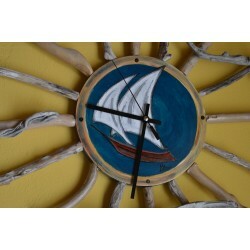 Hand painted Wooden Wall Clock. 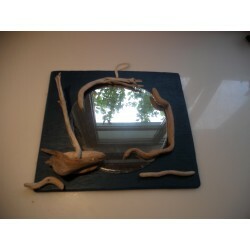 It is made of marine ply panel painted in blue - petrol water colours and decorated all around with sea driftwood. This artwork brings an image of a sailing yacht traveling during sunrise.